Don’t Forget – September 4th’s Meeting At Gay Jensen’s Studio! The SDA Seattle weekday meeting for September 2013 will be held at the home/studio of SDA member Gay Jensen. Gay will share her artwork and give an informal “dress rehearsal” of her talk “Passion for Paint: One Woman’s Love Affair with Painting on Fabric” that she will be presenting formally to a weaving organization and a quilting organization this fall. If you are not familiar with Gay’s work you can look at her websitehttp://www.gayjensen.com . Important: This location is a little tricky to find so use your GPS or go online to get directions, please don’t contact Gay asking how to get there since giving directions is NOT her strong suit! Also, the entrance to Gay’s house is in the BACK, not on the street side. Time: Noon to 3 — From noon-12:30 you can tour Gay’s home and studio, Gay’s talk will begin promptly at 12:30 and last approximately one hour, and following that the group can do show and tell, talk about future meetings, etc. What to bring: Your lunch. Gay will provide beverages for the group. Also bring anything you want for show and tell. Please note that Gay’s home is a “no outdoor shoes indoors” household so bring your slippers if you want, or wear your favorite socks, and be prepared to remove your outdoor shoes when you arrive. Coming to the Dancing Surfaces Reception on Friday? Here’s some traffic information that will make it easier! Travelling to the Phinney Center and parking will be a challenge for the reception on Friday. Friday is the Summer Streets event in the Phinney neighborhood. At 6:00, Greenwood/Phinney Street will be closed at 67th street up to 87th street. So, guests will want to arrive at the lower parking lot by approaching the Phinney Neighborhood Center from the east, on 67th street or from the south. There will be plenty of signage and people help directing guests. Also the Farmers Market will be running from 3-7PM in the upper lot, which will impact parking. Here is more information about Summer Streets: http://www.seattle.gov/transportation/summer_green.htm. September’s SDA Weekday Meeting – A Visit to Gay Jensen’s Studio! The SDA Seattle weekday meeting for September 2013 will be held at the home/studio of SDA member Gay Jensen. Gay will share her artwork and give an informal “dress rehearsal” of her talk “Passion for Paint: One Woman’s Love Affair with Painting on Fabric” that she will be presenting formally to a weaving organization and a quilting organization this fall. If you are not familiar with Gay’s work you can look at her website http://www.gayjensen.com . Also: Save the date Wednesday, October 2, 2013, 12 – 3 pm when we’ll be meeting at Okan Arts to learn about and shop Japanese yukata cottons. Donna Lee Dowdney, SDA Member, exhibits her fabric art at ART AT THE POINTE on August 3, 2013. 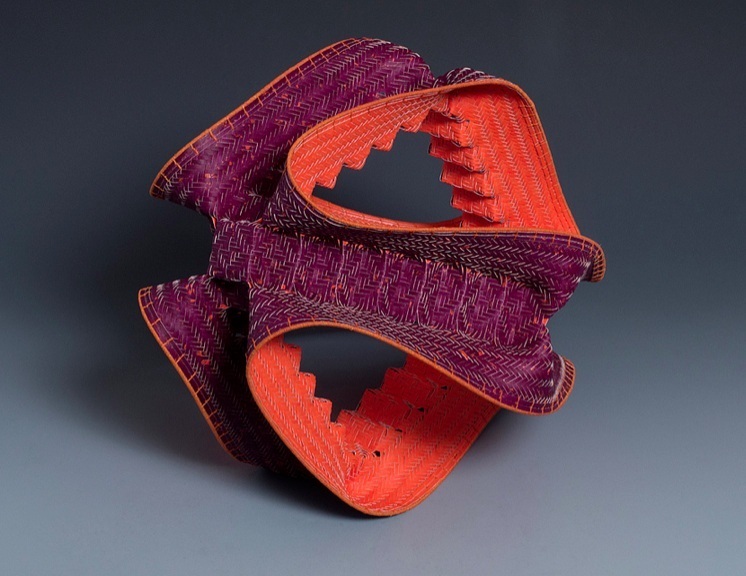 Donna’s textile exhibit focuses on an invented microcosm of plants, and creatures such as tropical fish. 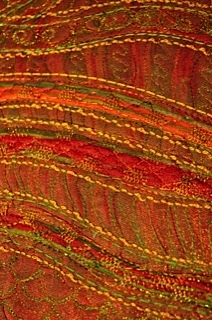 Some fabric art techniques Donna uses include free motion stitching, cut-back appliqué, beading, and embroidery. The event is at the Hartstene Pointe Clubhouse on Harstine Island from 10:00 AM to 3:00 PM. Free admission. Free parking. 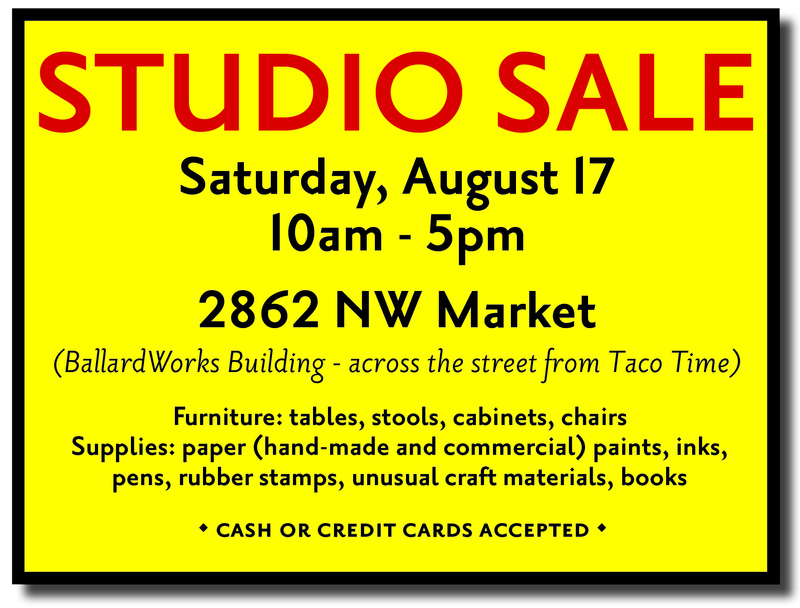 There will be sculptures, pottery, jewelry, glass, wood, oil paintings, watercolor, calligraphy and more. Lunch is from 11:30 to 1:30 or until we run out of food. Wine and water will be available.